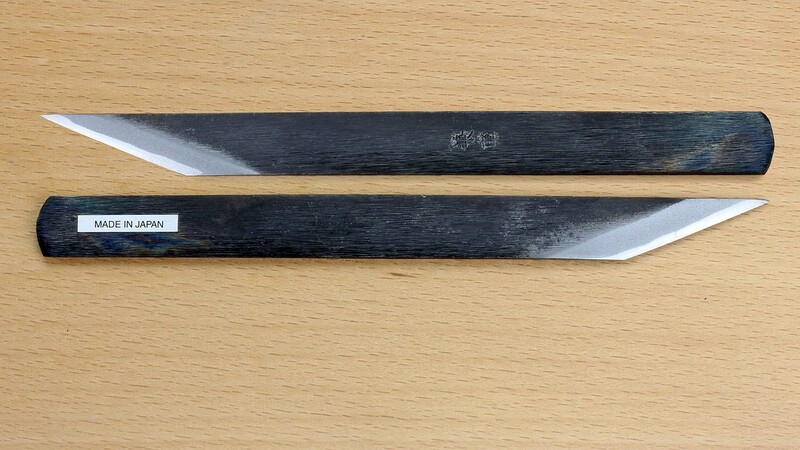 The Japanese carving knife "Kogatana" has the cutting steel forge-welded to one ore two layers of soft and tough iron. This has the advantage that the risk of the very hard, and thus brittle, steel’s snapping is lessened because it is embedded in softer iron. The knives offered here have the mirror side slightly hollowed, which means that sharpening is much easier as there is no need to grind the whole surface flat. Having the blade sharpened only from one side is a geat help when cutting along a ruler's edge or when trying to achieve a perfectly straight cut as in veneer work. In his book, "Japanese woodworking tools: their tradition, spirit and use " Toshio Odate tells us about these all-purpose knives: "When I was a boy, it was expected of us that we took one of these Kiridashi-Kogatana and a pair of scissors with us to school in our pencil box. The Kiridashi-Kogatana was used for sharpening our pencils and in art lessons for cutting wood, bamboo and card so that we could make toys and boxes and little gadgets. Using this knife we got to know the properties of wood and bamboo, we learnt the intrinsic qualities of the sort of steel from which the Kiridashi-Kogatana was made, and we also learnt how sharp the blade was." 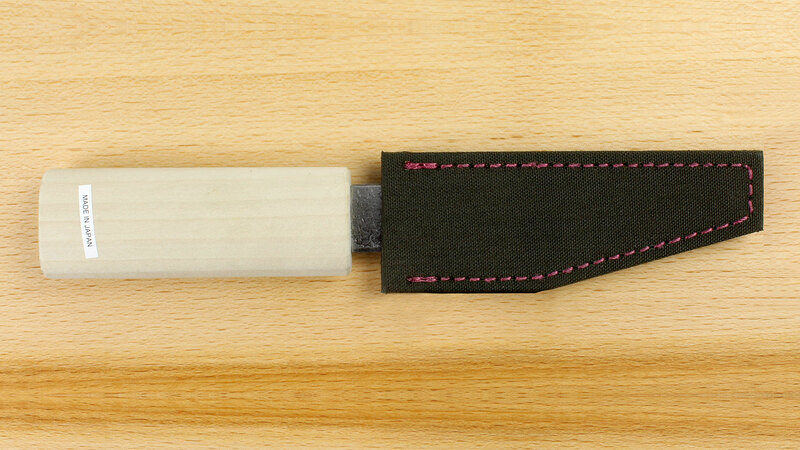 The knives without separate handle can be used either naked or with a covering of bamboo or leather, as is the Japanese tradition. You can also make yourself a wooden handle for them. 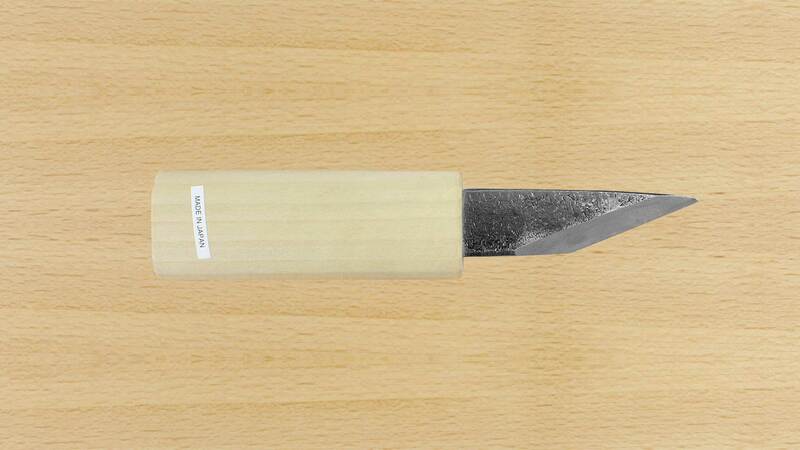 To sharpen the Kogatana, we recommend our Japanese Waterstones. 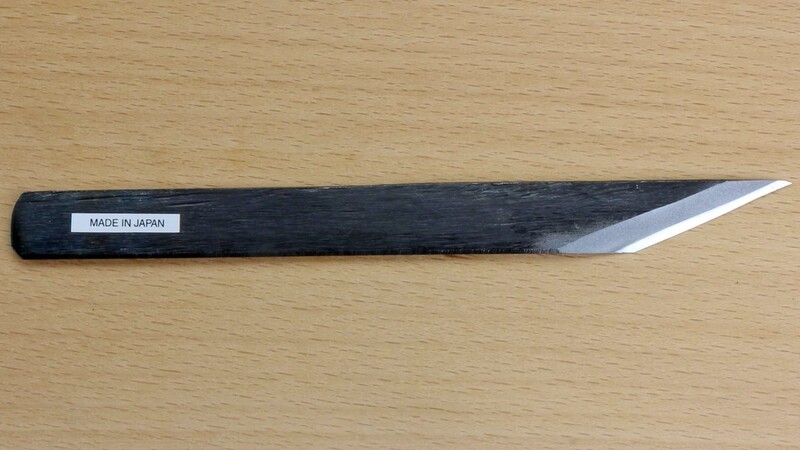 Yokote Kogatana Knife made of two layers of steel with handle and blade. Bevel on right side, hand-hammered surface. 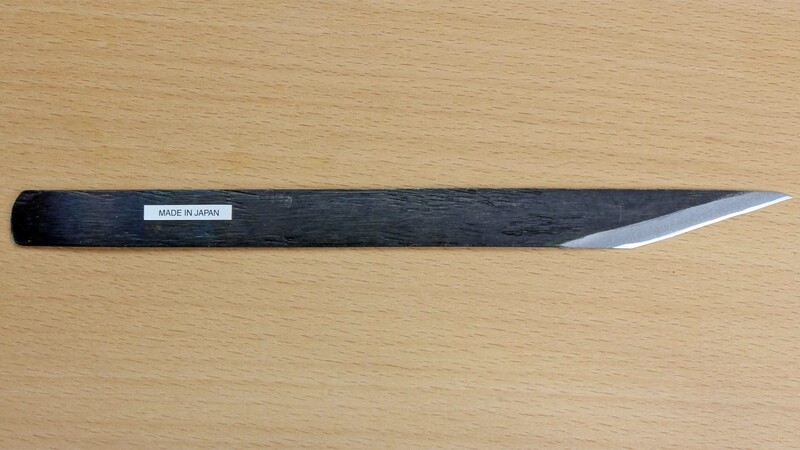 Kasaya Kogatana Thin wood carving knife made of two layers of steel, bevel on the right side, black, forged surface. Thickness only 1.5 mm! The tip is 20°. The mirror side of these knives is not hollowed! bevel on the left side - for lefthanders and for work where a right handed knif	e is not suitable. bevel on the right side - for righthanders and for work where a left handed knife is not suitable. Kiridashi Kogatana - bevel on the left side Multi purpose and wood carving knife made of two layers of steel, black, forged surface. The tip is 20°, bevel on the left side. 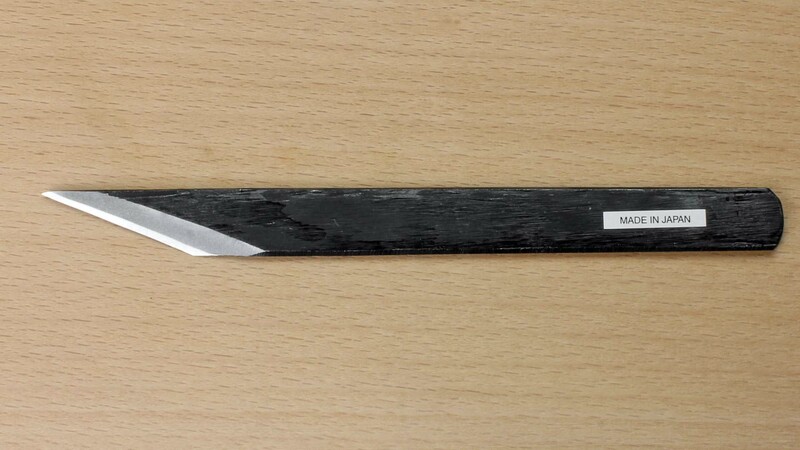 Kiridashi Kogatana - bevel on the right side Multi purpose and wood carving knife made of two layers of steel, black, forged surface. The tip is 20°, bevel on the right side. 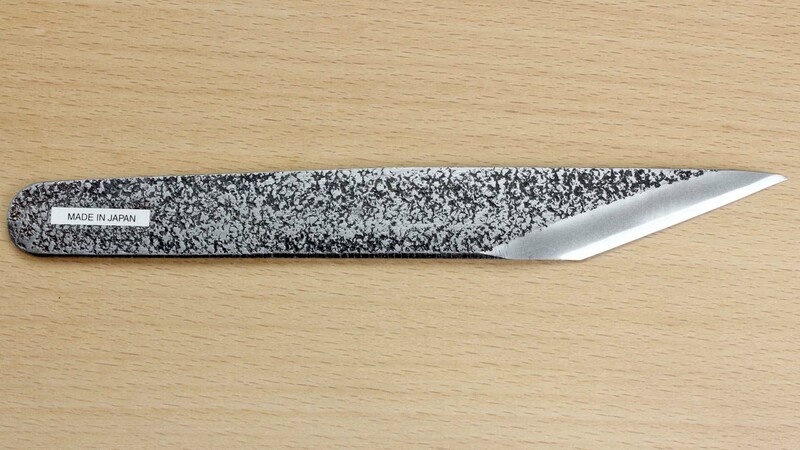 Kiridashi Kogatana - bevel on both sides Multi purpose and wood carving knife made of two layers of steel, black, forged surface. The tip is 20°, bevel on both sides. 6 mm 160 mm Currently not in stock!